Gold prices are rising sharply after the U.S. government reported that home sales plunged last month, raising concerns about the housing market’s recovery. According to AP, gold for December delivery rose $25, or 1.8 percent, to settle at $1,395.80 an ounce Friday, the highest price since June. 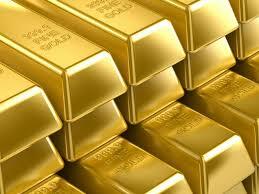 Traders bought gold after the Commerce Department reported that new home sales fell 13.4 percent last month. That shook investors’ confidence in the housing recovery and the broader economy. Gold tends to rise when traders anticipate weakness in the economy and a slower wind-down of the Federal Reserve’s economic stimulus program. That could weaken the dollar over time, making gold more appealing. Silver rose 70 cents to $23.74 an ounce. Beans and grains rose.